An official trailer has arrived for a documentary titled Along for the Ride, which premiered at the Venice Film Festival last year. 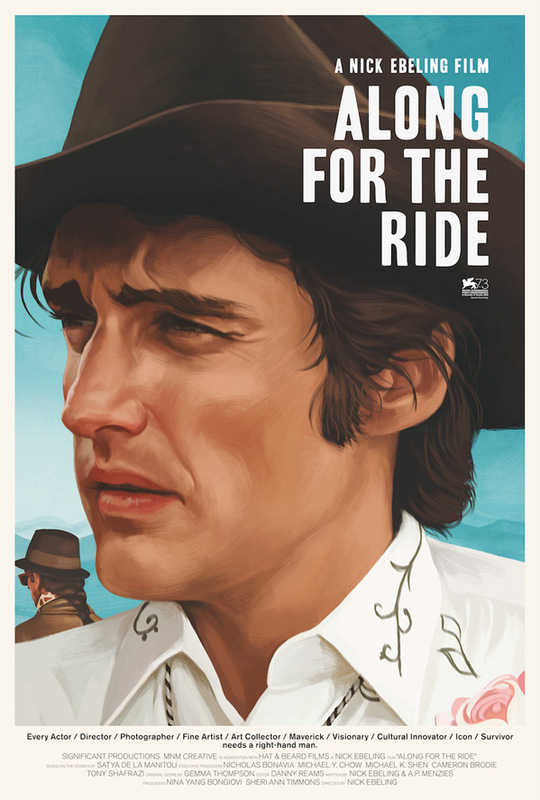 Along for the Ride profiles the life and career of actor Dennis Hopper, who you will recognize from all kinds of different movies over the years. Hopper passed away in 2010, but earned two Oscar nominations over his long career. "Method actor, filmmaker, photographer, fine artist, art collector, and all-American madman." The doc includes a score by Gemma Thompson of the critically acclaimed band Savages, along with plenty of interviews with his friends and colleagues including Wim Wenders, Dwight Yoakam, David Lynch, Michael Madsen, Dean Stockwell, and many others. "Through the triumph of Easy Rider, the magnificent career suicide of The Last Movie, the overlooked masterpiece Out of the Blue, and a midlife comeback after plenty of booze and brawling, Along for the Ride is a vivacious work of film biography with a freewheeling style that’s only appropriate to its anarchic subject." Watch the trailer below. Method actor, filmmaker, photographer, fine artist, art collector, and all-American madman—the many sides of Dennis Hopper are explored in Nick Ebeling's remarkable documentary confirming Hopper as a major filmmaker, a fact often eclipsed by his legend. Offering commentary from a rich array of figures from Hopper’s life, Along for the Ride features insightful contributions from Frank Gehry, Ed Ruscha, Tony Shafrazi, Wim Wenders, David Lynch, Michael Madsen, Dean Stockwell, Russ Tamblyn, Linda Manz, Damon Albarn & Jamie Hewett, Julian Schnabel and Dwight Yoakam – all set to a dazzling original score by Gemma Thompson of the critically acclaimed band Savages. Along for the Ride is directed by filmmaker Nick Ebeling, of a few short docs previously making his feature-length debut. The doc will be released in select theaters in NY starting November 3rd, then in LA in December, later this fall. So who's interested?